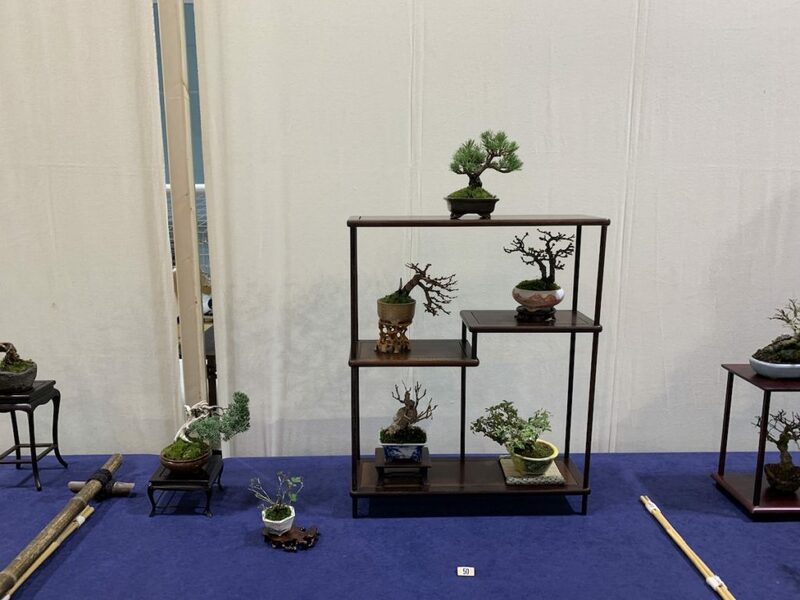 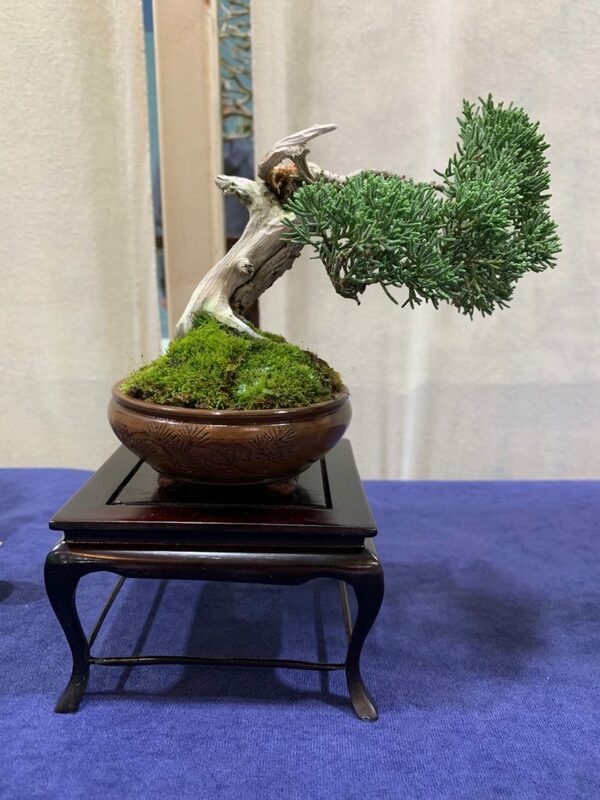 Gary put on a beautiful display of mame trees that included a White Pine in a Juko pot. 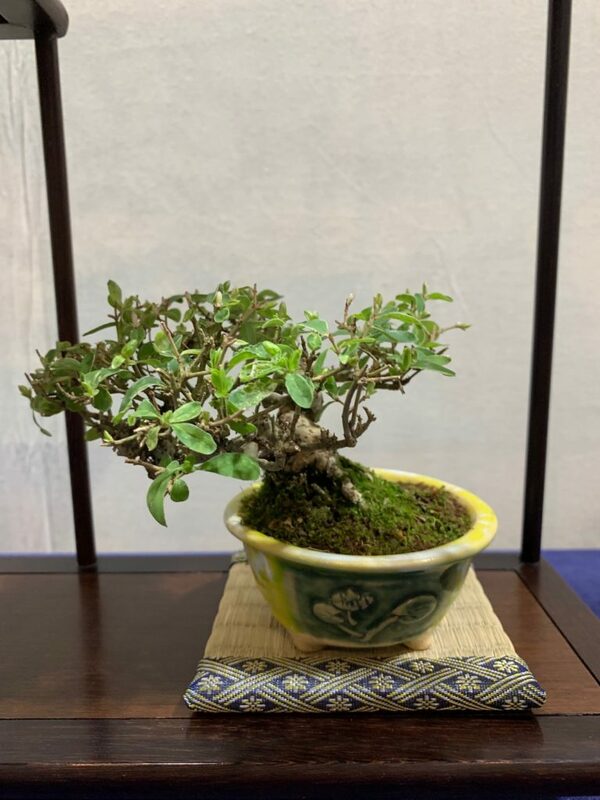 A Chojubai in a Arimoto pot. 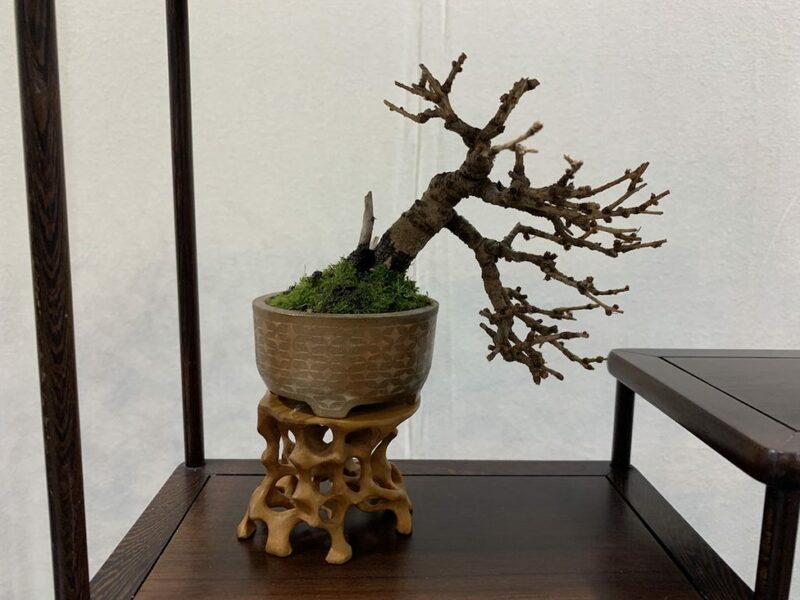 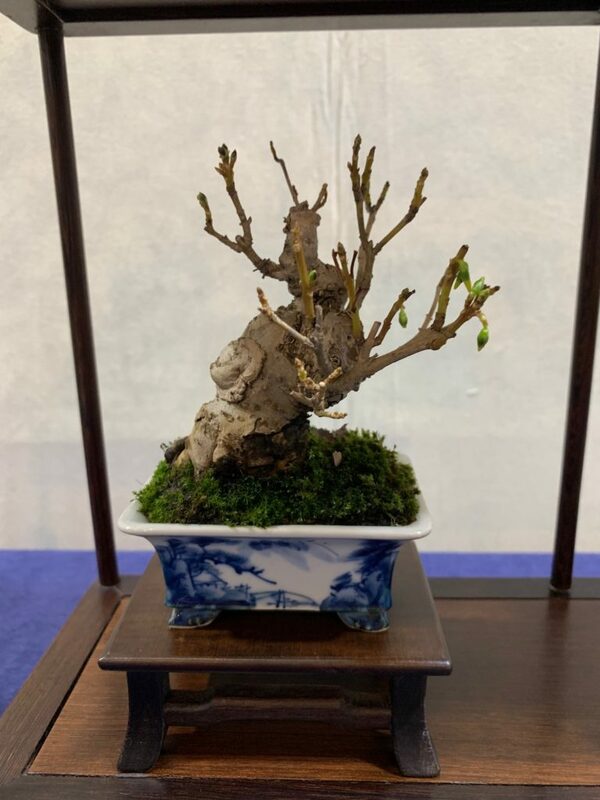 A Larch in a Benda pot, with a Forsythia in a Taizan pot. 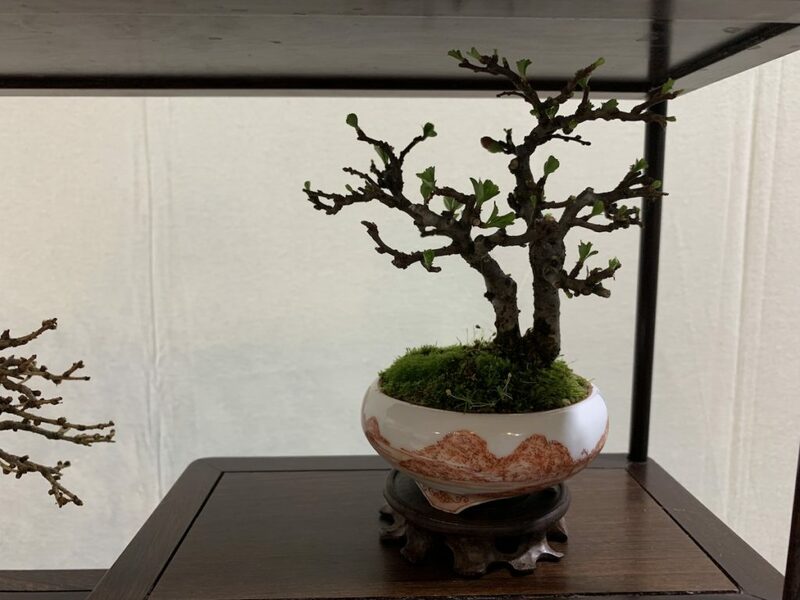 Together with an Iboto in a Bushuab shiozru / masuhi pot. 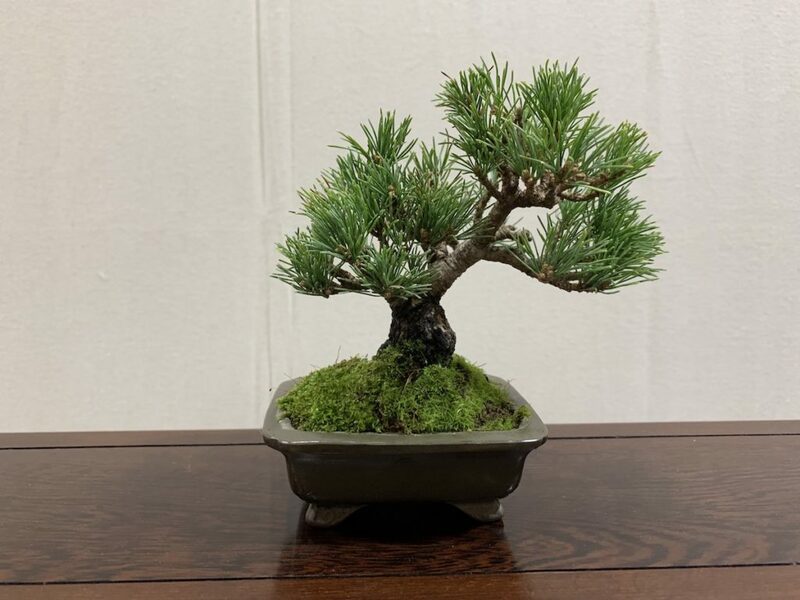 Combined with a Juniper in a Bigei pot and a Rosebush in a Hikosansin pot. 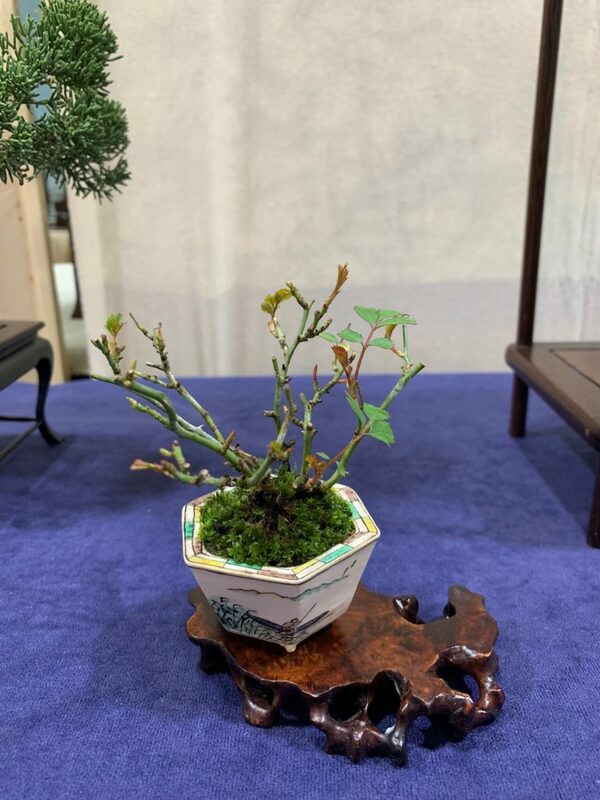 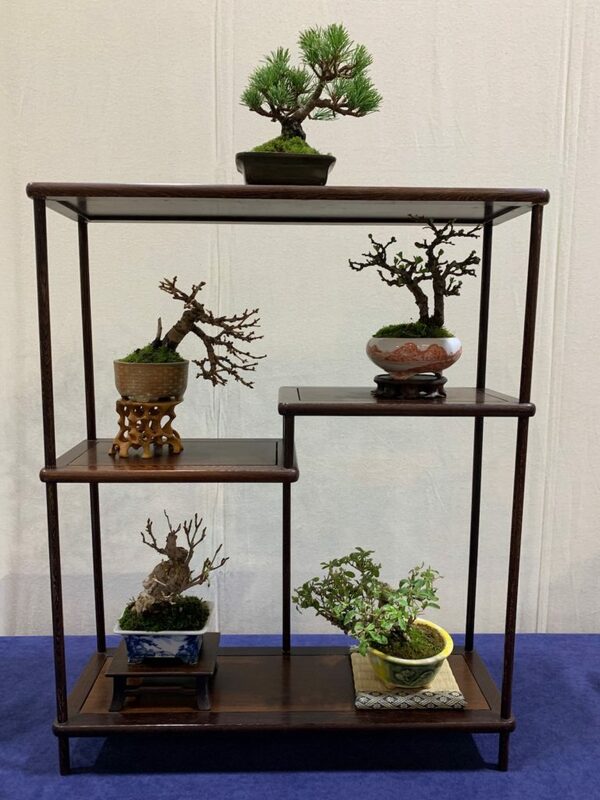 Posted March 15, 2019 by AW & filed under Mame, Show Reports, Winter Show.